near Morgan City was never intended to mark a grave. "It's a great shame Mississippi has endured an unfair reputation," for events that happened 60 to 80 years ago. These are "faded snapshots people carry in their mind. There’s more violence in two days in New York City than in a whole year in Mississippi." These comments are from a telephone interview with vintage guitar dealer Raymond "Skip" Henderson of New Brunswick, N.J. Henderson, who is featured in the Nov. 12 issue of Newsweek Magazine in a Prominent article "There's Blues in the News" will be in Clarksdale this weekend. An avid blues enthusiast who first came to Clarksdale a number of years ago at the urging of ZZ Top guitarist Billy Gibbons to visit the Delta Blues Museum, Henderson is personally responsible for a blues preservation campaign of his own. 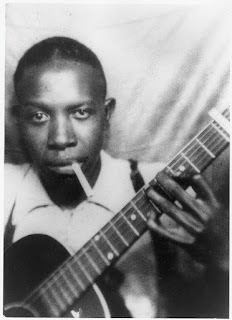 Its focus is the blues giant Robert Johnson immortalized as the modern-day Faust who sold his soul to the devil at the "Crossroads" to play the guitar. 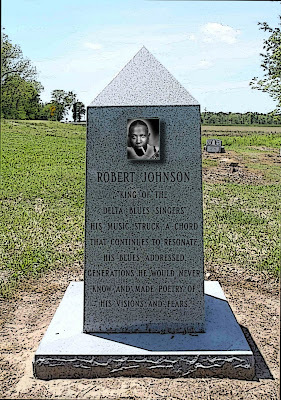 Although much of Johnson's life and death in 1938 is a mystery, his intense music is legendary. The recent remastering of his records by Columbia Records has been a surprise best-seller, sky-rocketing on the Billboard charts and drawing national media attention. Describing Johnson's music in the recent Newsweek article, Columbia producer Lawrence Cohn says "There is so much emotion there, I find it .disturbing." 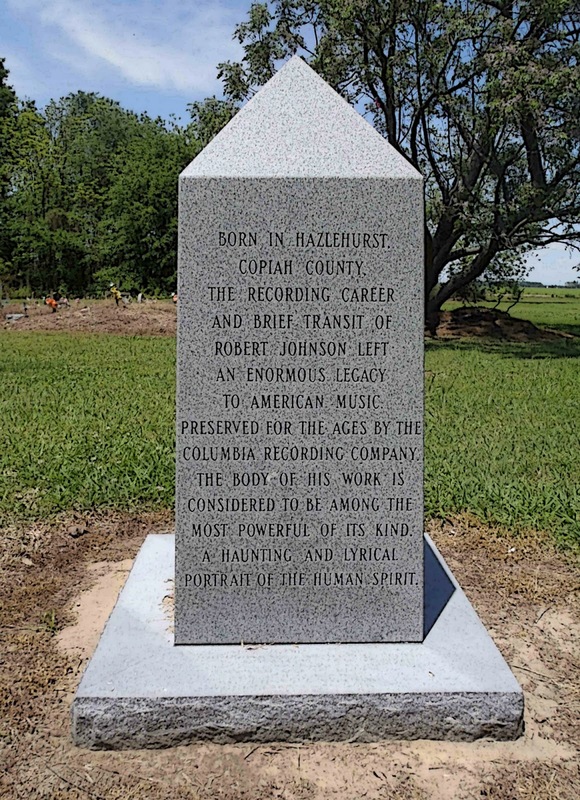 What New Jersey blues fan Skip Henderson finds disturb-ing through all the hoopla is the possible exploitation of blues sites in Mississippi. What New Jersey blues fan Skip Henderson finds disturbing through all the hoopla is the possible exploitation of blues sites in Mississippi. In awe of 10 counties of Mississippi which Henderson says produced the roots of America's major musical culture, he labels the landmarks, "holy ground." In his business he's witnessed European and Japanese collectors zapping up American-made guitars. "They're a active and rabid group of collectors." "One night I sat straight up in bed," he said. What if some obsessed collectors found about the lien on Mt. 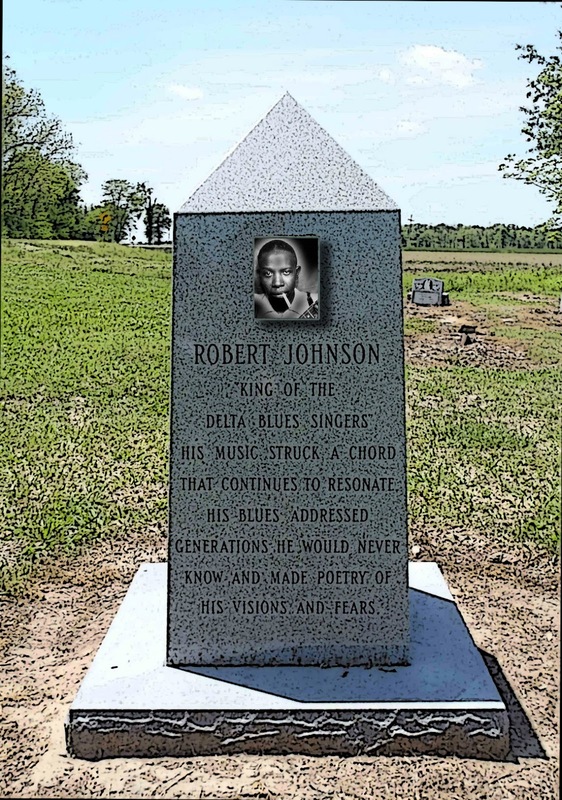 Zion Church where Robert Johnson is supposed to be buried, bought it and put up a gift shop advertising 'See Robert Johnson 's grave." Through Clarksdale attorney Walker Sims, Henderson organized a non-profit corporation to raise donations to pay off the church's indebtedness. According to Sims, CBS Records has pledged $10,000 and a number of smaller donations have come in. Mt. Zion Church, pastored by the Rev. James Ratliff of Hollandale, has services once a month. Sims says it is located in a bean field in Leflore County between Morgan City and Itta Bena. Donations to the Mt. Zion Memorial Fund: Inc. will pay off the church's debt for repairs, plumbing work, and pews, Henderson says. Funds also will be used to clear the cemetery and put up a marker. 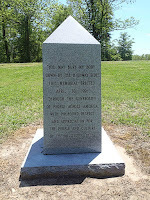 "The marker an obelisk will not claim to be Johnson's grave site. 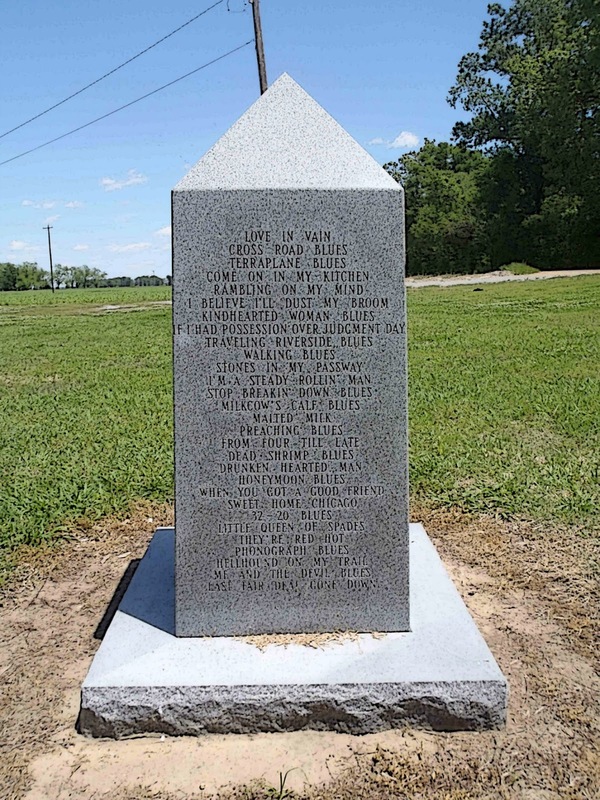 It will be an historic marker placed near the highway," says Henderson. Although Henderson admits he may be viewed by many of the congregation as someone "who walked off a spaceship" he's looking forward to attending church services there. "I'm trying to return something to the people of the Delta. People will come to realize the area's vast richness." On his visits here Henderson says he has been struck by the state's poverty, but also by its "great beauty." "I'm taken by Mississippi."